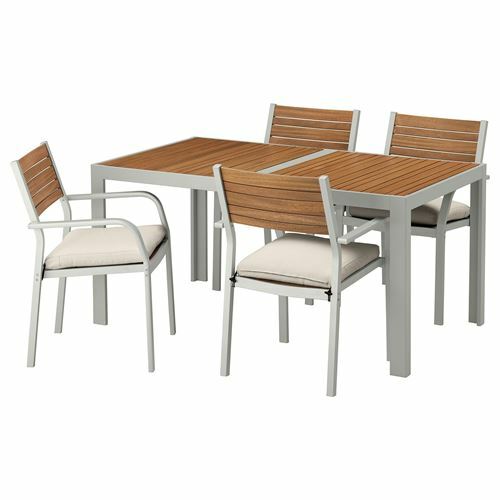 You can choose a table top in wood, aluminum or glass to give the table the style that suits you and your patio. The eucalyptus slats have grain variations and natural colour shifts that give the furniture a warm and natural look. The frame is made of rustproof aluminium which makes it sturdy, lightweight and maintenance free. Furniture:The best way to extend the life of your wooden outdoor furniture is by cleaning it regularly, not leaving it outdoors unprotected more than necessary and to re-stain it on a regular basis.